WhAt ThE wOrLd NeEdS..!! 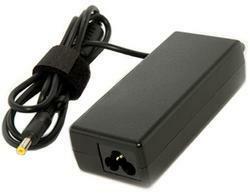 : What is the best way to treat laptop adapter during everyday use? What is the best way to treat laptop adapter during everyday use? Plug/unplug from the laptop carefully and never put strain on the adapter’s output connector end - most failures occur due to broken laptop power connectors from rough handling or the adapter’s output connector/cable junction. Don’t tightly wind the cables around the adapter when packing for transportation or storage for the same reasons as above.